This 100% natural cotton dress looks amazing on almost any figure: red lacing at sides and at the sleeves allows for making light size adjustments easily. 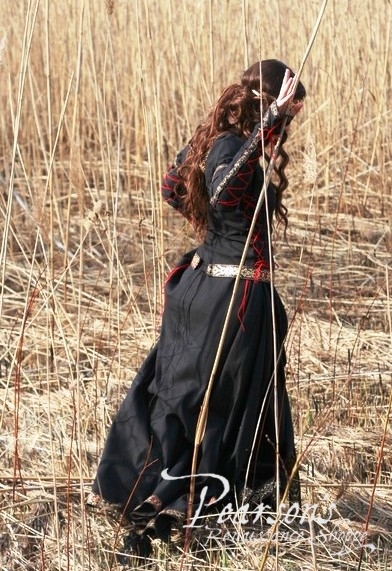 Fine trimming on the neck, sleeves, belt and bottom completes the perfect view. 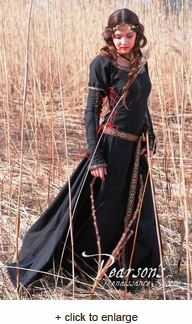 Trimmed fabric belt shown in pictures is included with the dress. 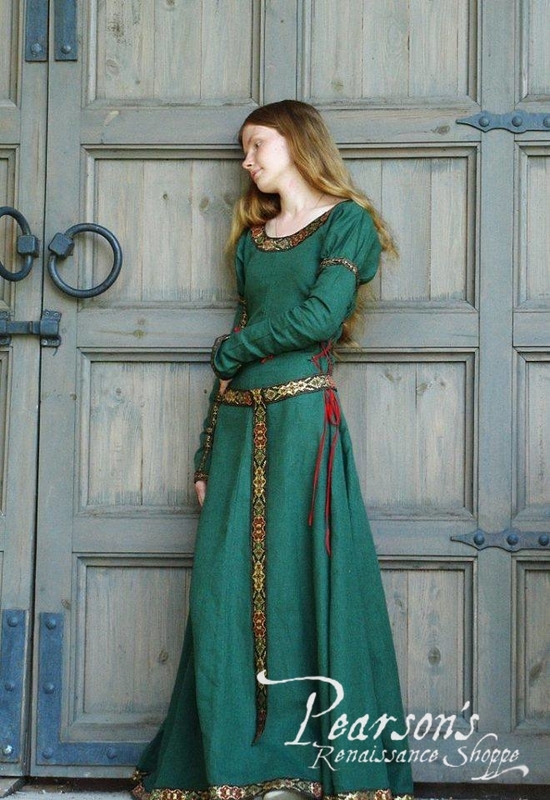 The attire will suit both the young lady from any medieval European country and the heroine from the fantasy story. 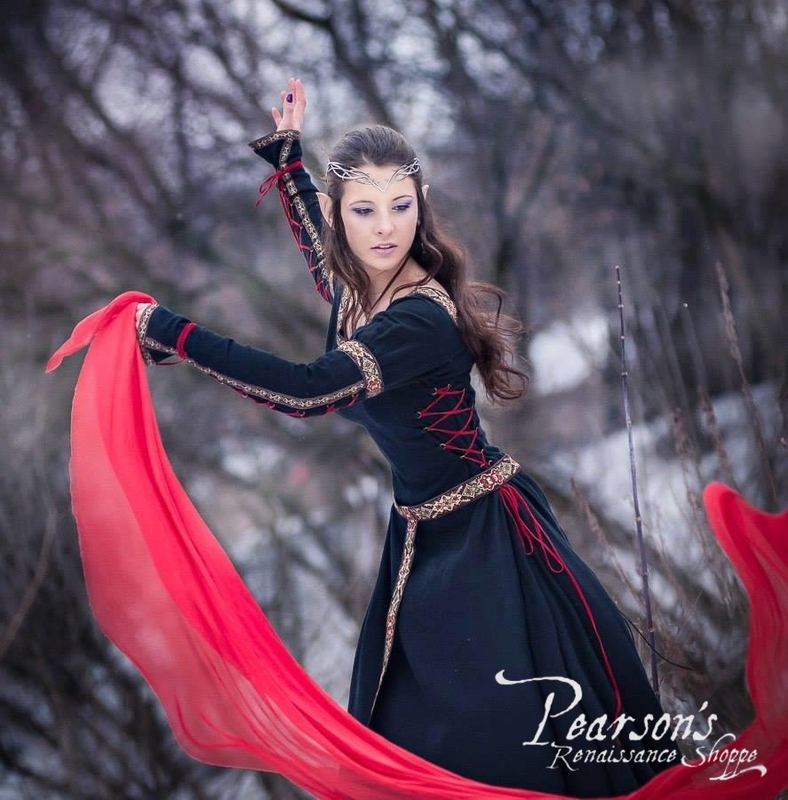 A simple yet eye-catching dress that will get you attention at the next Renaissance Faire or medieval event! One picture is worth thousand words, so just have a look. Other accessories shown are not included.